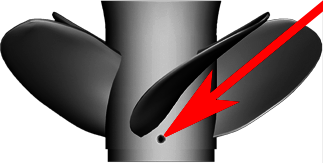 Vent holes in the prop's barrel allow exhaust gases to escape, reducing water density around the propeller's blades during acceleration. 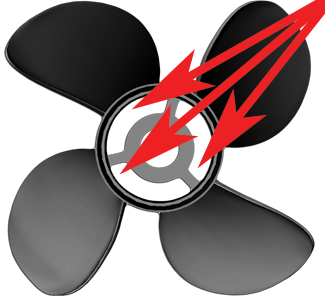 This causes the propeller to rotate faster at slower speeds resulting in more HP. 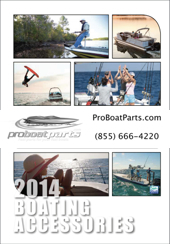 More HP at lower speeds means faster acceleration and a faster hole shot. 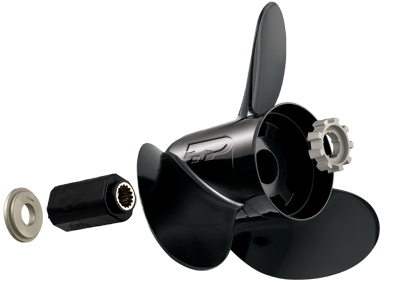 Turning Point has designed the most advanced and aggressive: progressive pitch designs, highest rake angles, and tuned cupping available for the Boating Industry. 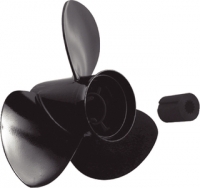 8-20hp with 2-1/2" gearcase uses the 200 Series Hub Kit System. 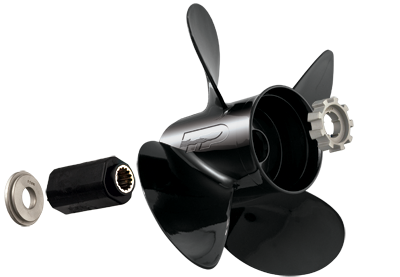 * Turning Point's propellers labeled with a diamond or square mark and 500 Series hub kit systems are an interchangeable upgrade for Mercury® Flo-Torq®, Michigan Wheel® XHS®, Solas® Rubex™ systems. 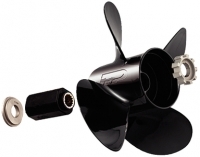 NOTE: Not applicable with Turning Point's 10, 20 and 200 Hub Kit series. 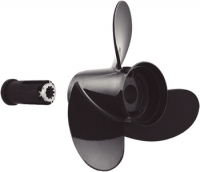 **NEW for 2012: Hustler 4 Blade Aluminum Left-Hand Rotation props; 17", 19", 21" pitch options. 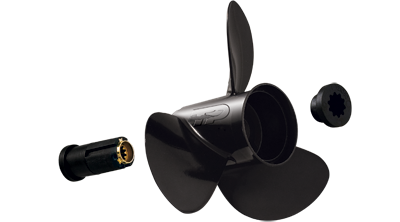 New Four Blade Design uniquely engineered with two blade geometries: two blades utilize the Hustler high performance variable rake and aggressive pitch design (Blades 2) for incredible hole shot and cornering, and two blades utilize an "offshore" (Blades 1) style shape for high speed and maximum stern lift. 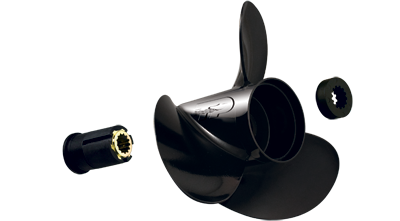 This combination results in the highest performance aluminum propeller on the market, unmatched in cornering, acceleration, boat handling, and top speed. 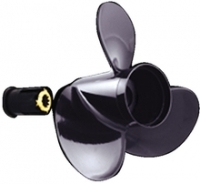 This is the ultimate water sports propeller, but also offers any boater four blade performance with none of the usual handicaps of this design. 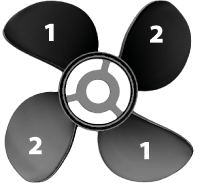 Pitch options: 17", 19", 21"
When switching from a 3 Blade propeller to this newly designed Hustler 4 Blade, use the same pitch as your 3 Blade, unless your current Wide-Open-Throttle RPM is running in the lower third or below the recommended WOT RPM range for your engine. 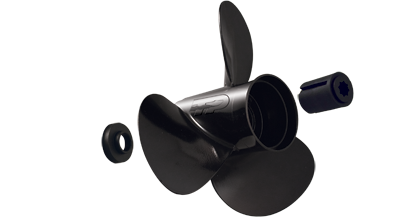 If your current propeller is running below the recommended RPM range supplied by your Engine's Manufacturer, consult your Dealer or use Turning Point's Prop Wizard program to help find the correct pitch for your application.